What was supposed to be a long and successful tenure in Tampa Bay has abruptly come to an end for running back Doug Martin. He and his $6.75 million he was due this year are out the door as the Bucs have cut him from the squad. He was never able to replicate his impressive rookie season and the past few years have brought about a mediocre return for the club. There’s a decent chance he’ll get picked up by another club, but that payday he was due will likely be cut drastically as teams find themselves taking a gamble on a player who might already be washed up. We’ll see, but it’s looking like Martin’ best days might be behind him. As this tweet says, the move was not entirely unexpected, but still disappointing to Martin and the fans who held out hope he could reclaim his best seasons. 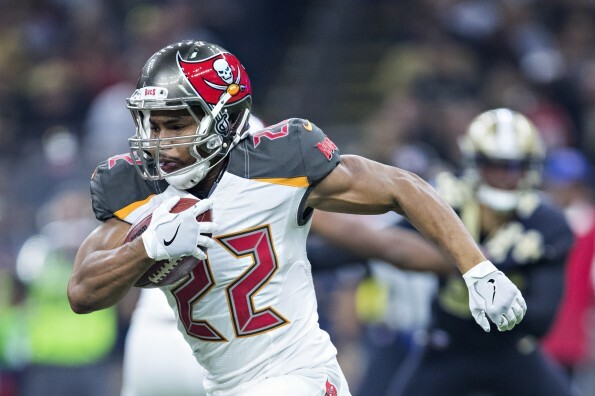 Doug Martin, a two-time Pro Bowl running back, was released by Tampa Bay Tuesday, a move that was expected after he failed to rush for less than 500 yards in four of the past five seasons. General manager Jason Licht informed Martin of the move Tuesday morning.